Saturdays’s early kick-off in the Premier League will see Newcastle United travel to Wembley in high spirits to face Tottenham Hotspur. The Magpies recorded a shock win in midweek against Premier League champions Manchester City to steer away from the relegation places. Tottenham also won in midweek, needing a late comeback to beat Watford. A win for Mauricio Pochettino’s side will cut Liverpool’s lead at the top to four points albeit temporarily at least. Here's all you need to know ahead of the game. Tottenham will be without their talisman in Harry Kane, along with Delle Alli and Ben Davies. All three are currently on the treatment table. Son Heung-Min returned from Asian Cup duty, although he suffered cramps in midweek’s win over Watford. He will require a late fitness test. Newcastle United have no fresh injury concerns and could name the same team that won against Manchester City on Wednesday. That would mean club record signing Miguel Almiron who joined from MLS side Atlanta United will not be available. Ki Sung-yueng, Rob Elliot and Jonjo Shelvey are sidelined. Tottenham are the only side in the Premier League yet to draw a match this season. In fact they will set a Premier League record of most consecutive games without a draw, with a victory or a defeat in this match. The North Londoners have scored a league-high 13 headed goals in the league this season, while Newcastle have conceded the most headers (9) in the league. Tottenham: Lloris, Alderweireld, Sanchez, Vertonghen, Trippier, Winks, Sissoko, Rose, Eriksen, Llorente, Son. Newcastle United: Dubravka, Yedlin, Schar, Lascelles, Lejeune, Ritchie, Perez, Hayden, Longstaff, Atsu, Rondon. This would have been a straight forward fixture for Tottenham on any other day, but certainly not after the midweek heroics from Rafa Benitez’s side. Newcastle defied the odds to stun Manchester City with a gutsy come-from-behind victory. They will be buoyed by that result and will give Spurs a very tough afternoon. 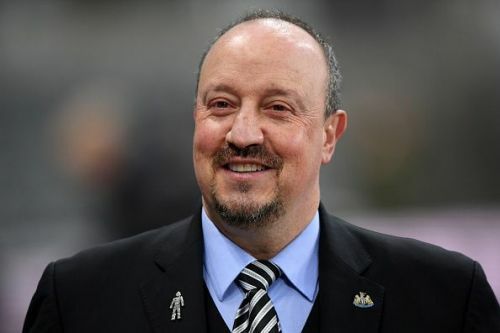 However, their record on the road this season is not encouraging, and to add to their misery, the Toons have not won a match at Wembley since the 1955 FA Cup final (lost seven times since). Tottenham are missing some key players in their attack and they will come up against a resolute Newcastle defence, and you can expect to witness Spurs' first draw of the season.